Short-listing (to about 40 stories) will be done by Arachne Press owner, (award-winning) editor and writer, Cherry Potts, together with reviewer and book blogger Lizzy Baldwin. The Final choice of 12 stories will be made by a stellar line-up, each of whom will also contribute a story for the festival and the anthology. Imogen Robertson grew up in Darlington, studied Russian and German at Cambridge and now lives in London. She directed for film, TV and radio before becoming a full-time author and won the Telegraph’s ‘First thousand words of a novel’ competition in 2007 with the opening of Instruments of Darkness, her first novel. Her other novels also featuring the Georgian detective duo of Harriet Westerman and Gabriel Crowther are Anatomy of Murder, Island of Bones, Circle of Shadows and Theft of Life. In 2013 she published The Paris Winter, a story of betrayal and darkness set during the Belle Époque. She has been short-listed for the CWA Historical Dagger three times and once for the Dagger in the Library Award. Robert Shearman has written four short story collections (Tiny Deaths, Love Songs for the Shy and Cynical, Everyone’s Just So So Special, Remember Why You Fear Me), and between them they have won the World Fantasy Award, the Shirley Jackson Award, the Edge Hill Readers Prize and three British Fantasy Awards.His background is in the theatre, resident dramatist at the Northcott Theatre in Exeter, and regular writer for Alan Ayckbourn at the Stephen Joseph Theatre in Scarborough; his plays have won the Sunday Times Playwriting Award, the Sophie Winter Memorial Trust Award, the World Drama Trust Award, and the Guinness Award in association with the Royal National Theatre. He regularly writes plays and short stories for BBC Radio, and he has won two Sony Awards for his interactive radio series, The Chain Gang. But he’s probably best known for reintroducing the Daleks to the BAFTA winning first season of the revived Doctor Who, in an episode that was a finalist for the Hugo Award. His latest collection of stories, They Do The Same Things Different There, is to released September 16th 2014.
listen to Robert talking about judging, reading and time. 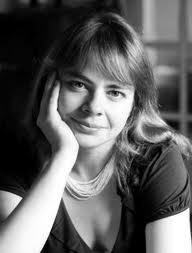 Alison Moore is a novelist and short story writer. Her first novel, The Lighthouse, won the McKitterick Prize 2013 and was shortlisted for the Man Booker Prize 2012 and the National Book Awards 2012 (New Writer of the Year). Her second novel, He Wants, will be published on 15 August. Her debut collection, The Pre-War House and Other Stories, includes a prize-winning novella and stories published in Best British Short Stories anthologies and broadcast on BBC Radio 4 Extra. 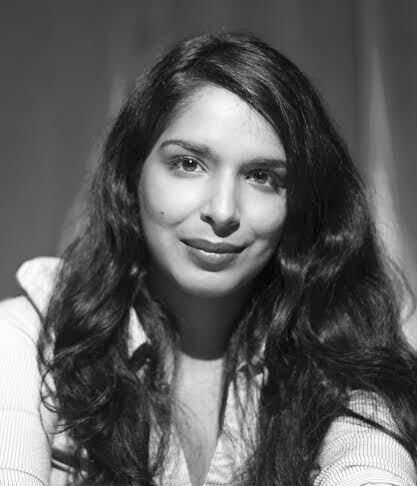 Anita Sethi is an award-winning writer, journalist and broadcaster who has written dispatches from around the world for the Guardian, Observer, Sunday Times, Daily Telegraph, Sunday Telegraph, Independent, Independent on Sunday, New Statesman, Granta, Times Literary Supplement, Harpers Bazaar and BBC, among others. She has appeared as a guest panelist and commentator on BBC Radio 4, BBC Radio 5 Live, BBC World Service, and ABC Australia. Her short stories, reportage and poetry has been published in From There to Here, Roads Ahead, and The Book Club Bible and she is currently completing a novel. She is recipient of a Penguin/decibel prize, Winston Churchill Travelling Fellowship, Arts Council writing award, and Dialogue Festival blogging award. She has appeared at many international Literature Festivals, and has been both an International Writer-in-Residence and Ambassador at the Emerging Writers’ Festival in Melbourne, Australia. Imogen, Anita and Rob will host on the day and read their own stories, Alison was double booked, so her story will be read by an actor, and Cherry will do a hosting stint, as well as running a writing workshop and generally making sure everything goes smoothly and everyone has a great time.